Take your time to taste our cooking, cared with passion. Our restaurant offers mediterranean and local dishes. Our Chef Roberta, helped by her staff, takes care of our cookery with passion and spirit of innovation. 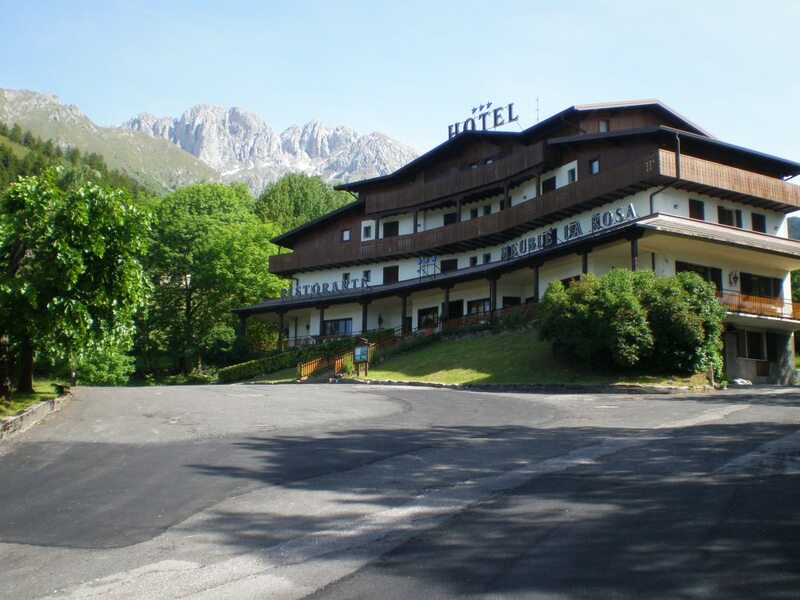 Placed 1,5 Km from Bratto town centre and from Presolana Pass, Hotel La Rosa offers all comforts to spend an unforgettable holiday: bar, reading room, cards room, playroom for children with video games, table football and table tennis, baby room, lift and skiroom. Rooms are provided with private bathroom, color TV, telephone and panoramic balconies. Our cookery is delicious: it offers typical and international dishes. During summer time, our guests may also enjoy a private minibus service, forgetting the harassing problem of finding a free car park!